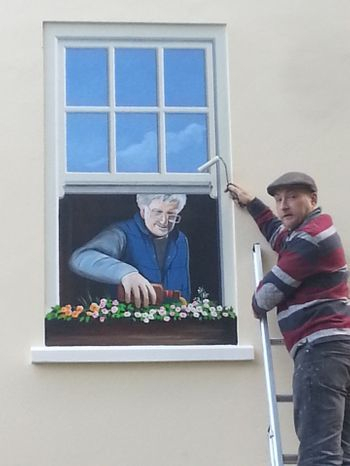 We painted these trompe l'oeil windows for a client in Guernsey. 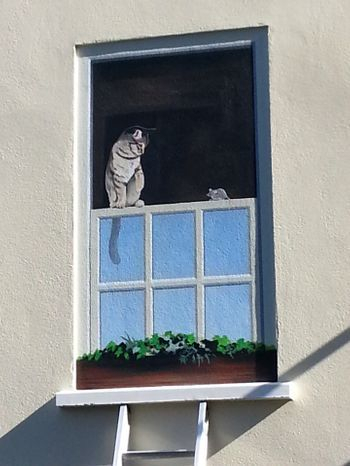 One window shows the client watering a window box with a bottle of beer and the other has a cat and mouse sat on top of an open sash window, looking at each other pondering their next move. This took us five days to complete, including travelling. It was painted in high quality artist acrylics and varnished to protect it against the sea air.